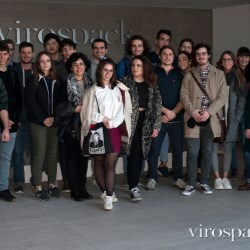 Virospack, The Dropper Company, and the University School of Engineering and Design of Barcelona (ELISAVA, have signed a collaboration agreement whose main objective is to encourage the development of an innovative project in packaging design. The company dedicated to the manufacture of droppers for cosmetics, enters in this way to form part of the academic course of ELISAVA, university attached to the Pompeu Fabra, being the object of study. A selection of students of the Degree in Design and the Degree in Industrial Design Engineering-, made by ELISAVA and based on academic criteria, are the ones chosen to elaborate a proposal of structural design of container with dropper applicator, after several briefings by the firm. With this collaboration, "we intend to promote innovation, design and sustainability in the sector, while seeking to strengthen the link between the business world and the university," said Rosa Porras, Marketing and Communication Manager at Virospack. With this initiative, students from a prestigious school like ELISAVA are expected to present their proposals in response to the challenges posed by Virospack. The presentations can be in digital format, renders, models and/or panels. A jury formed by members of the technical, commercial and marketing team, in addition to the CEO of Virospack - Mr. Vicenç Rodriguez – will award the best proposals with a prize to the winning project and two finalists. At the same time, to reinforce the recognition of the best proposal, Virospack will exhibit the prototype of the award-winning design at its booth at one of the prestigious international shows to which the company is attending this year, still to be determined. According to Claire Dubus, Head of ELISAVA Marketing and Communications, "For our school, it is an honor to have the experience of a multinational firm that gives light to our students and delights them with a project of this magnitude". 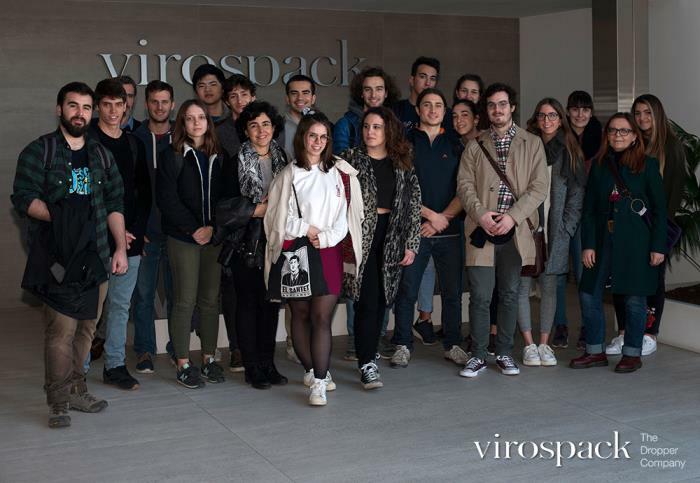 Virospack received the ELISAVA students at its facilities, thus giving the starting signal to this collaboration between the two. 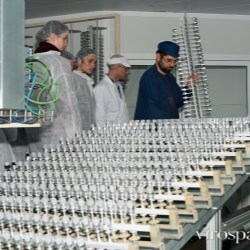 During the tour offered by the company's new production unit, ELISAVA design students and professors were able to observe closely all the processes involved in the manufacture, assembly, and decoration of droppers and bottles for cosmetic products. Virospack's technical and production directors led the tour, in which students visited various sections such as rubber processing, compression, injection molding, glass, different painting processes, metallization and final assembly, where the students witnessed firsthand the complexity of each production and the high level of quality required. The visit was, without a doubt, very interesting from the formative point of view, according to statements from the teaching team: "Few companies have all the processes in a single plant, so the experience has been very enriching for students and teachers who have few opportunities to get to know the entire manufacturing chain".